Nearly seven out of 10 American workers don't like their job, according to a 2017 Gallup study. That means 70% of workers are disengaged and only doing the bare minimum. And it gets worse. 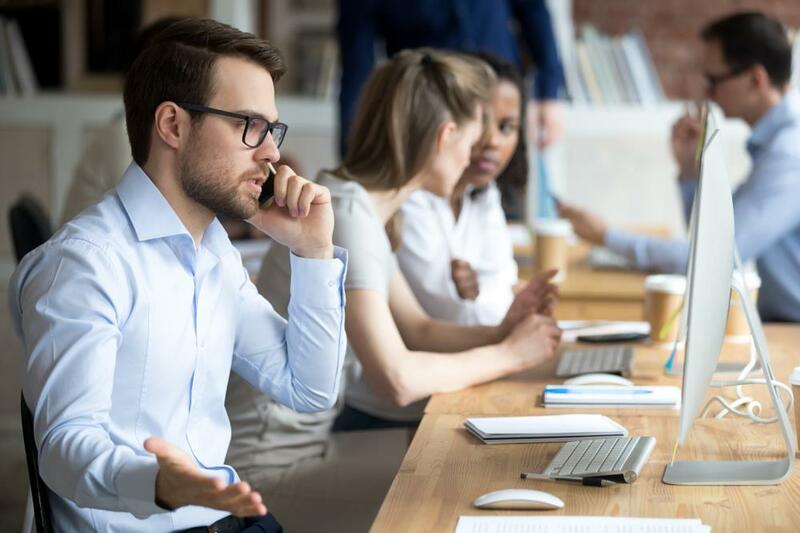 Approximately 16% of Americans resent their jobs to the point that they've become disruptive by complaining and exhibiting other negative feelings, according to a recent CBS News article. These statistics are just a few examples of how many people are not reaching their full potential in their careers and are suffering unnecessarily because of it. If you're a part of these statistics, you’re probably asking “should I leave my job?” Deciding when to leave a job is difficult and scary. The good news is that the negative emotions you're experiencing might just mean that you're ready for a new career. Don't care about your job? Does simply going to work make you queasy? Those are clear signs it’s time to leave your job. Sure, people feel bored at work from time to time, but there are some surefire ways to tell whether that boredom has reached the point that you need a career change. Let's look at some of the signs you need a new job. If you're bored at work, you're not alone. Workers say they're bored on the job more than 10 hours per week, according to an Office Team survey. That means that full-time workers are bored 25% of the time they're on the job. Almost half of those workers (45%) say it doesn't matter what time of the year it is, they're still bored at work. What contributes to boredom? Workers who don't feel challenged by their job get bored. The same thing happens when workers don't feel like they have enough to do. Dull work, too many meetings, and coworkers they don't like also contribute to boredom. If you keep watching the clock with the feeling that the end of the day can't get here soon enough, you're bored. If you're in one of those meetings you can't stand and you stop paying attention, you're bored. If you distract yourself by checking your social media page, reading online articles unrelated to your work, or any other activity that has nothing to do with your job, you're bored. All of these are indicators that you are no longer interested in your work and signs you need a new job. Register today to find a job you'll love! Looking for an easy way to tell when to change jobs? Gauge your apathy level. You may be apathetic if you have a job but just don't care whether your efforts result in your company's success or your own professional success. You're apathetic if you only do what you have to and don't exhibit extra effort in your job. You're apathetic if you goof off instead of doing your duties. You're displaying apathy if you don't engage with your coworkers. If you just go through the motions on a day-to-day basis, waiting for the next check to arrive, then you are undoubtedly being apathetic in your career. Several causes contribute to apathetic behavior. Some individuals may be apathetic by nature. For others, a work environment they find irritating can cause apathy. Disliking your boss or coworkers can decrease job satisfaction and result in apathy. Getting assignments that aren't challenging, dealing with a boss who micromanages, and never receiving positive feedback can all lead to apathy. If you're not engaged and don't care about how you might be coming across to your colleagues, you’re apathetic. It’s one of the most obvious signs you need a new job, and the next step after apathy is irritation. If you're bored and apathetic, that means you're already in a bad place at work. That boredom and apathy can spill over into frustration. Any criticism, no matter how small, can provoke you to lash out. Employees lash out for all sorts of reasons. Maybe they can't stand their job. Maybe they feel boxed in and see no chance to advance. Maybe they have a personality clash with a coworker or boss. Whatever the reason, if you find yourself getting angry or frustrated over a minimal request, that's another sign you're ready for a career change. This irritation can lead to the next item on our list. Your dream job is waiting. Register with iHire today! Signs of serious stress can be that you're always tired, suffering from headaches, and/or suddenly experiencing heart palpitations. This is especially true if you've never had these symptoms before. Listen to these symptoms because they are all signs that you're stressed at work. 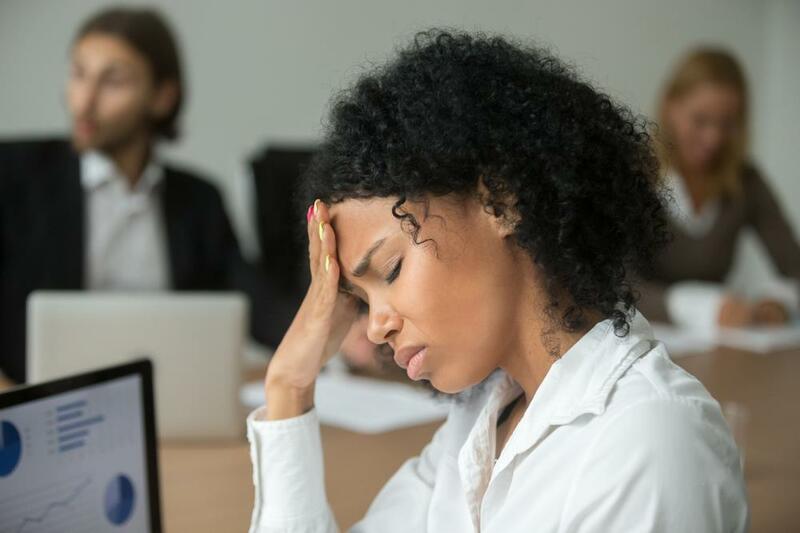 Approximately six out of 10 Americans cite work as a significant source of stress and one-third of American workers report they're chronically stressed at work, according to the American Psychological Association. Why? Workers cite poor work-life balance, mediocre management, excessive job demands, and negative work relationships as causes of stress. The effects of stress follow you after you've left work. Stress can lead to high blood pressure, rapid breathing, a risk of a heart attack, and other health maladies, as reported by Healthline. And while we've noted that being stressed at work can stay with you physically, it can also influence you in other negative ways, such as your sleep. It's important to unwind after work, but that's easier said than done. A tough day at work can lead to you thinking about the day at dinner and as you climb in bed at night. Unfortunately, poor sleep quality is more common than you might imagine. In a recent Accountemps survey of over 2,800 employees in the U.S., about 44% of workers reported sleep loss as a result of work-related issues somewhat often or very often. Losing sleep affects younger workers, as nearly six out of 10 reported losing some sleep as a result of work. What causes that lack of sleep? There are two main reasons — feeling overwhelmed and not being able to unwind. Workers need to be well rested to be at their best. A lack of sleep keeps you drowsy, making it harder to focus at work. When you're tired, it's harder to think clearly and react wisely. Not getting enough sleep can also lead to health problems like obesity, according to the National Institute of Child Health and Human Development. If you're taking your work home and to bed, that's a sure sign you need a new job. Being stuck in a career you hate is no fun. It becomes easy to decide when to change jobs once your career begins impacting your health. Boredom, apathy, irritation, stress, and losing sleep are all signs it’s time to leave your job. And it’s especially concerning since some of these symptoms can lead to health issues that will end up costing you much more than just professional success. Don't disengage. Stop asking yourself, “should I leave my job?” Don't settle for a career and life you're less than excited about. Get engaged with your future today. Matt Brooks is a freelance writer and consultant. He writes about personal and professional development for dozens of Internet-based brands. He lives and works in West Chester, Pennsylvania.